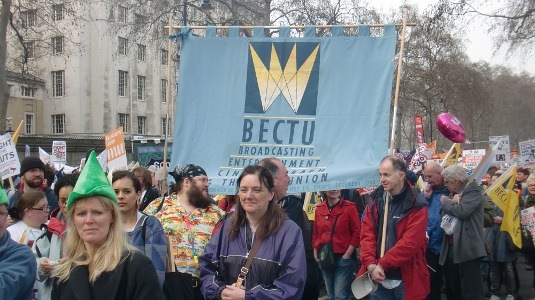 I joined the BECTU contingent on the TUC March for the Alternative on Saturday 26 March 2011. 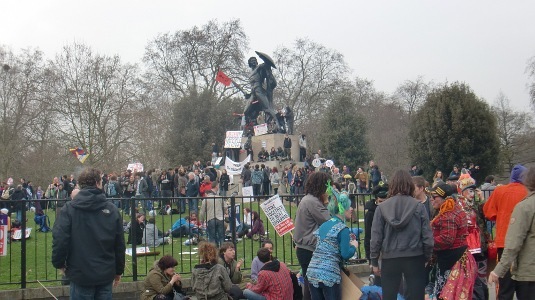 We were joined by more than quater of a million protesters on the march from Embankment to Hyde Park. 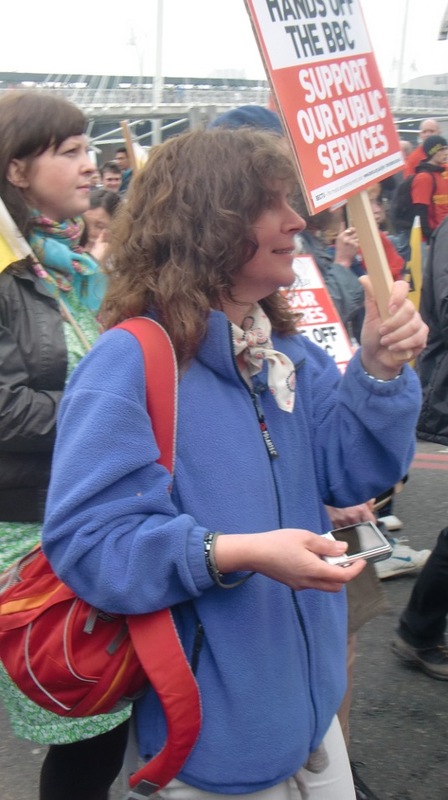 Below Yvonne does a sterling job carrying her placard on the march. The scene at 1512 in Hyde Park when I arrived.